Managing the water needs of lawns and gardens doesn't have to be a hassle. The Rain Bird ESP 12-LX Plus is a modular programmable irrigation controller capable of controlling up to 12 sprinkler valves at a time. When properly configured, ESP-LX series controllers can run up to four custom watering schedules to give you high-precision control over even large and complex irrigated areas. With just a little effort you can create a basic program that will keep plants green and prevent excess water use from running up your utility bills. Open the controller with the key provided to reveal the instrument panel and selection dial. Slide the select switch to A, B, C or D to select a program slot. Select "SET WATERING START TIMES" with the dial. Use the "+" and "-" keys to select a start time. Press "Next" and use the "+" and "-" keys to enter up to seven additional start times per program. Turn the dial to a day you want to select for watering and press the “On” key. Select "SET VALVE RUN TIMES" with the dial. Use the two sets of "+" and "-" keys displayed to select the hours and minutes of watering time. Select "TEST ALL VALVES / CHECK SYSTEM" with the dial. Press "1" to open the Confirm Programs menu. The settings of your new program should display. Cycle through the settings with "Next." If you are satisfied with the settings, press "Back" to leave the menu. Select "AUTO" with the dial to allow the controller to run the program you have set. If you do not choose another option, the controller will turn on "AUTO" by itself. Select "MANUAL WATERING" with the dial to manually control the watering. A Manual Watering menu will open. Press "1" to select a valve to start manually. Cycle through the valves with the "+" and "-" keys to select the desired valve, then press "Next." Set the running time of the valve with "+" and "-." Press "Run" to begin your manually entered watering cycle. Repeat Steps 3 to 5 for each valve you want to run manually. Turn the dial to "AUTO" to run the new program for the period you have selected. Dial to "ADVANCED CYCLES" and use the "+" and "-" keys to select "ODD" to water only on odd-numbered days, "ODD31" to water on odd days except the 31st and Feb. 29, and "EVEN" to water on even-numbered days. Dial to "ADVANCED CYCLES" and select "CYCLICAL" with the "+" and "-" keys to choose a custom watering cycle. 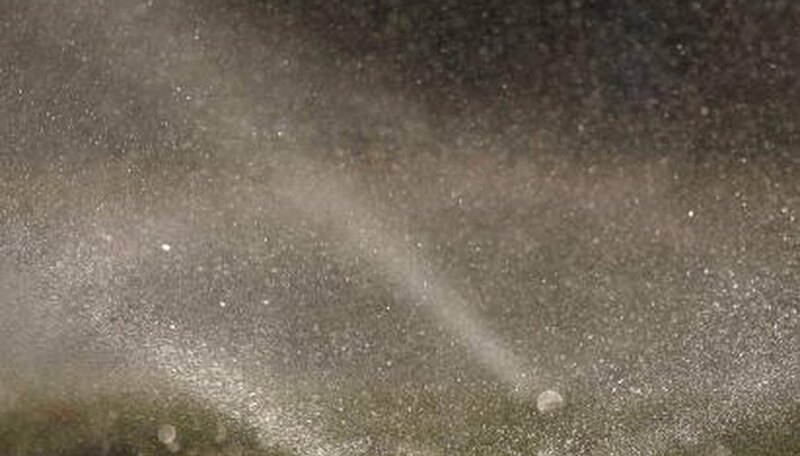 Enter the "Day Cycle" with "+" and "-" to indicate how many days should pass between watering. Owen Shore is a California real-estate broker and development consultant. He has contributed to studies on the environmental impact and strategic viability of new housing projects since 2007. Shore received a Bachelor of Arts in business administration from the University of the Pacific with concentrations in entrepreneurship and real estate.